If you are in the USA and you haven't watched the first episode of "Kidding", you are missing out. 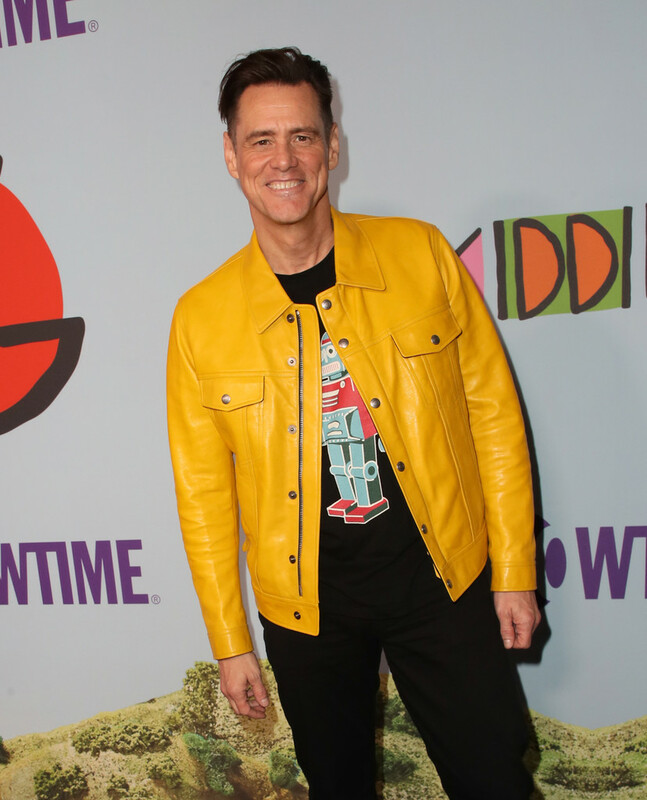 Next Sunday, the premiere of the new Showtime series, starring Jim Carey will air at 10/9 pm on Showtime and to celebrate that, they held a world premiere last night in LA. 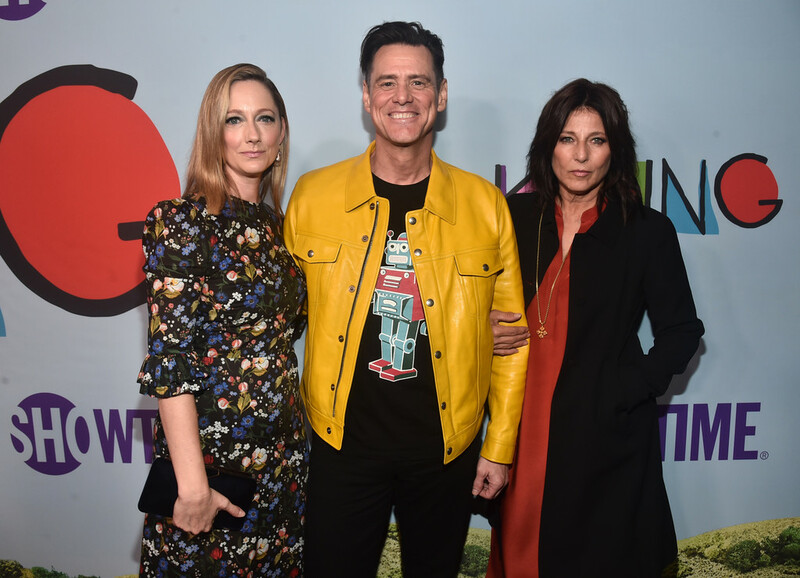 Yesterday, many stars rolled down the purple carpet (why make it red if you can be original), especially, the stars of the show. 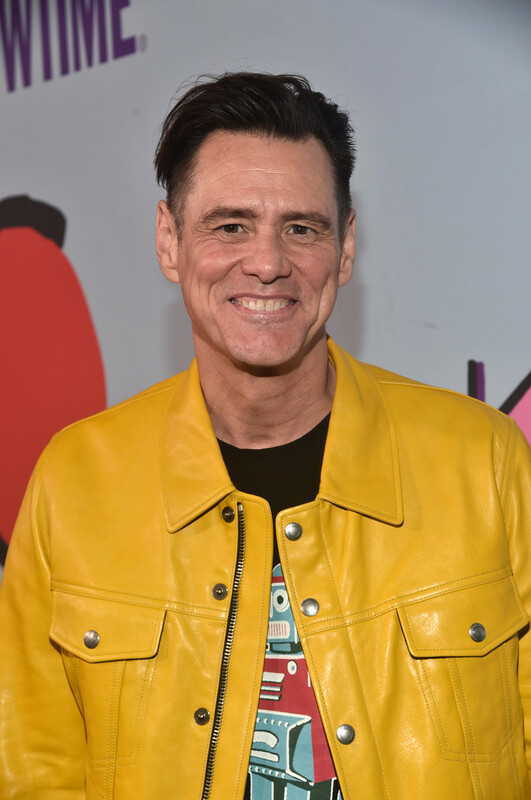 Jim Carrey caught everyones attention by wearing a black t-shirt, black pants and a gorgeous yellow leather jacket! You can also check out our Gallery for even more photos since we update it regularly. Also with photos from the after party. We at JCO will keep you updated as more news come. -- Click to comment this article.